Last day of the sound mix at the fantastic Twickenham studios last week, and the film is all finished. 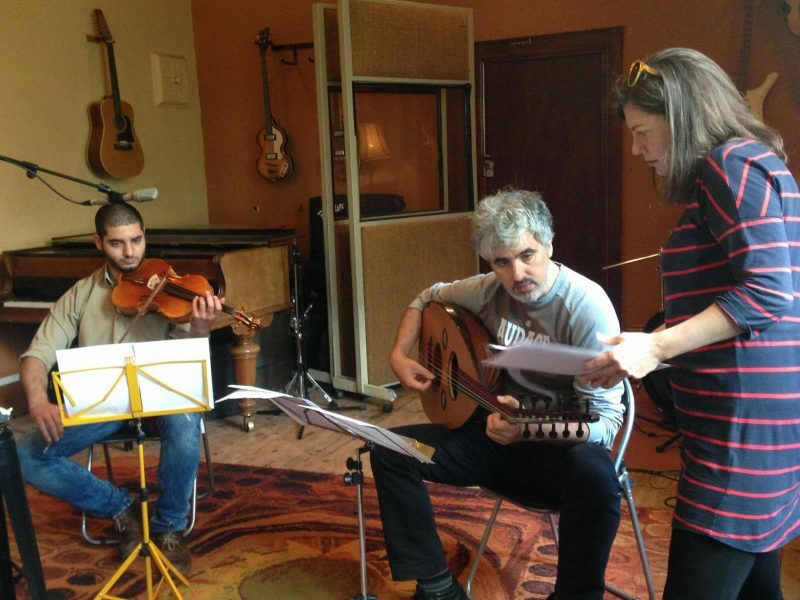 Here I am with the wonderful Francesco Iannuzzelli (oud) and Omar Saad (viola) at Crypt studios recording the music. I really enjoyed working on this beautiful with director Ashtar Al Khirsan, editor Tracey Granger and sound mixer Doug Woodward. Looking forward to seeing it on the big screen!